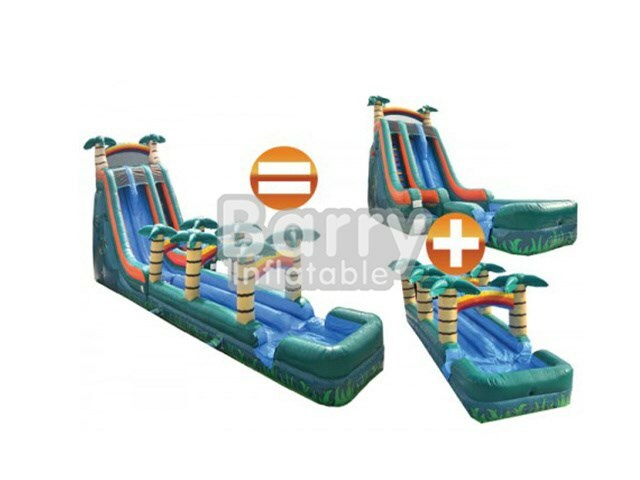 Products - Inflatable Wet and Dry Slide - Hot Sale Giant Wet or Dry Slide Inflatable Guangzhou BY-WDS-004 - Guangzhou Barry Industrial Co., Ltd. This screamr slide includes a 22'H water slide with detachable pool, and a 36' long slip n slide. The pool bottom is inflated with air cushion, could be used as water slide or dry slide. Both slide and slip n slide can be used individually. This slide sitting hieght is 14'.